This morning as I was doing my “prayer and meditation time,” finally feeling better after having a flu bug that knocked me down harder than I can ever remember, I thought about something my sweet grandma said I told her numerous times years ago. She said she thought it was so funny when I said that. However, maybe I was on to something at that young age, with that sentiment that was difficult for grandma to understand. It’s not by avoiding the difficulties that we get to see the joy, but by going through them. By embracing them even. Going through the pain of losing loved ones has led me to a greater appreciation for the people who are still in my life. Going through the devastation of suicide with a boyfriend years ago and with my stepdaughter later has led me to an empathy for others experiencing that devastation, enabling me to shine a light so they, too, can get through that very black space of so many questions and so much guilt. Going through the process of healing after being sexually assaulted by a stranger at the young age of 18, working my way through the fear and turmoil that followed me for years, the PTSD, has given me the aptitude to help other victims of crime along that dark, lonely path. The path that only a survivor can possibly understand and give hope to the still suffering that there is light at the end of that tunnel. 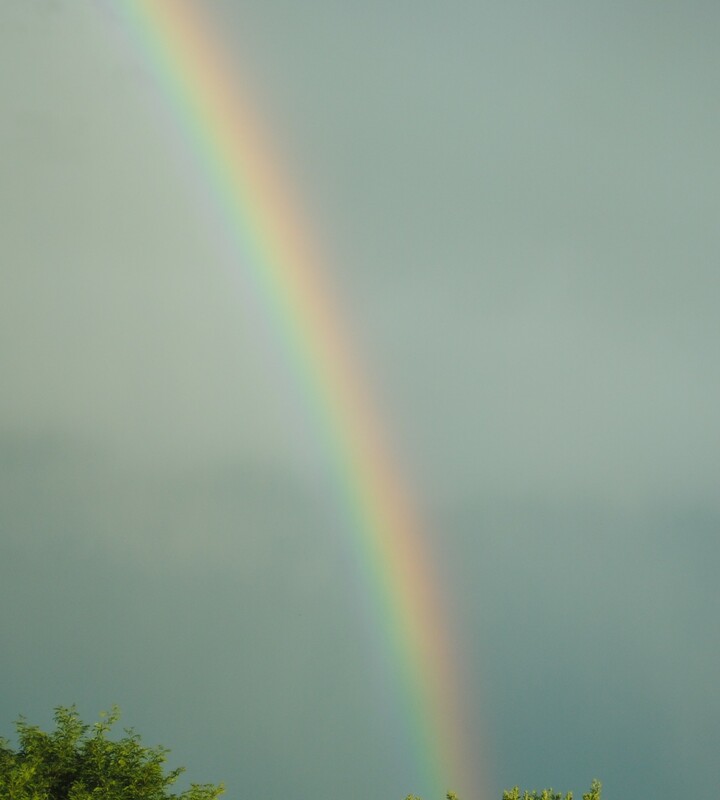 At the risk of sounding cliché, it’s not until after the rain and the cracks of thunder, frightening bolts of lightning, that we can see the incredible rainbow that brings peace and awe. While I wouldn’t count it joy while in the midst of those dark times, the fact that there was joy in my life afterward is nothing short of miraculous. Those trials have led me to a closer relationship with my God. My Savior–literally. Left to my own, I would not have survived, but He carried me through those troubling times. 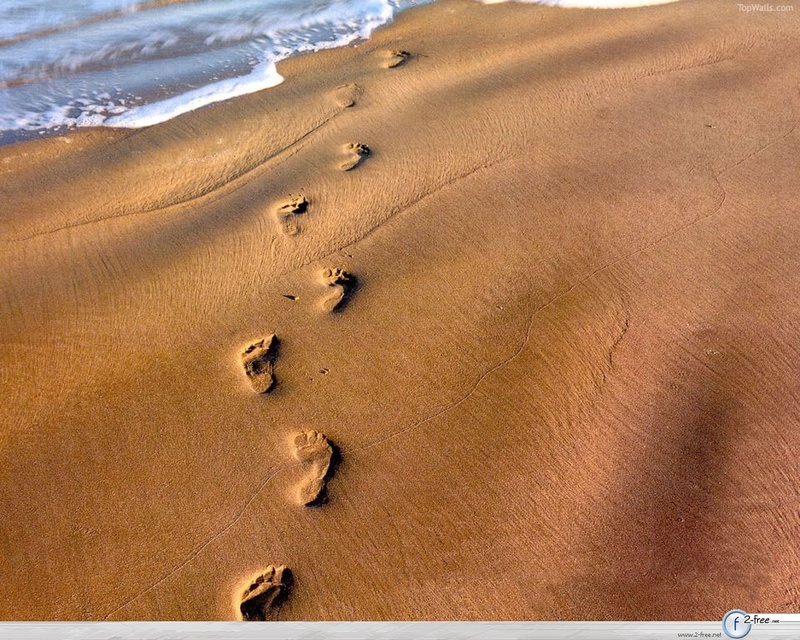 Like the footprints in the sand poem. And today? I’m so thankful I’m feeling better and embrace this day with renewed energy and passion for health. Peace, my friends. Have a beautiful day. I just started a prayer and meditation journal. Today I didn’t do it because I overslept and just minutes ago told God I would get to it today when the boy went to school and the husband to work. Instead, I turned on my computer and checked my email. The last few weeks have been difficult but God provided a devotional in this post with what I needed. “My brethren, count it all joy when you fall into various trials, knowing that the testing of your faith produces patience. (James 1:2). ” Today my action is to count it all joy and my prayer is to ask my God and Savior to remind me that these things shall pass and there is joy on the other side. Bless you today. Rainbows have always been a sign to me of God’s love, and Footprints in the Sand is one of my favorite poems. Thanks for the reminder to count my blessings. Hope you have a wonderful day, as well.